One of the challenges of owning an RV is finding space to stow all of the things that you need while you are on the road. Whether you live in your RV, or use it for vacations and adventures, space – or lack of it – can often seem like one of the biggest issues. In this article, we will look at the issue of RV storage, and introduce you to a range of DIY storage solutions for your RV. Before you start working out where to stow everything you need in your RV, it is important to sit down and properly work out what you really do need. Many of us are guilty of accumulating a wide range of things that we don’t really require. There is a process of entropy that means that clutter can easily built up, and when we are busy, it can be easy to overlook this problem – or to simply become overwhelmed by the sheer volume of stuff in our lives. Obviously, if you live in your RV full-time, the issue of storage will be different than for those who simply vacation in their RV. Of course, those living the RV lifestyle full time will likely already have ‘downsized’ their belongings. Yet the problem of storage will obviously be more pressing for them because they need to take everything they need with them all the time, rather than just packing the things they need for a shorter period of time. What Really Needs to Be Stored in an RV? Of course, you may also wish to bring many other items, including books and other reading material, leisure and sporting items, and other items for recreational activities. But beginning with the basics can help you weed out unnecessary items one category at a time. It may seem obvious, but one of the first things that it is necessary to determine is whether you will be camping on or off grid. Where and how you plan to camp will obviously have a bearing on your requirements with regards to how much space you need to store tanks and equipment for water, power, fuel and waste. You may decide that in-built capacity for one or more of these basic requirements is excess to your requirements. In which case, you may find that you are able to downsize water or fuel capacity, for example, in order to make more space to store other things that you need. On the other hand, you may also find that you have need for additional storage of fuel or water, or need additional capacity for waste or waste water. If you are using your RV as a prepping bug out vehicle then storage will obviously be an even more important concern. Once you have worked out your basic needs, you will have a better idea of how much space you actually have to store additional items. Clutter can quickly accumulate, especially if you are travelling with kids. Keep clutter to a minimum by making sure there is a place for everything, and that you minimise what comes into your RV in the first place. 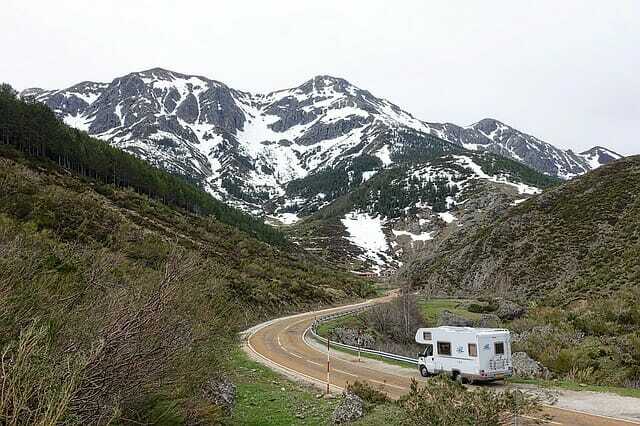 Be strict about what you bring into your RV – ask yourself ‘Is is useful? Is it beautiful?’ Everything in your RV should be something you know to be useful, or believe to be beautiful – ideally both. Consider implementing a ‘one-in, one-out’ policy, so the amount of stuff in your RV does not keep increasing over time. Think carefully before every new purchase – do you really need all those gadgets? Reducing the number of gadgets you own will not only save space, it can also help reduce energy use in your RV too. Reduce consumption in general to reduce waste. The less you buy, the less packaging waste you will generate as you go. Plus, thinking about cutting down the amount that you buy will allow you to go greener in your RV. When it comes to kitchen equipment, consider how many people you are feeding. Do you really need ten bowls for a couple? Or pots that will feed an army for a family of four? Pare down kitchen items until you are left with the essentials. When buying new kitchen equipment, consider space-saving options such as stacking pots or bowls. Consider items that meet multiple needs, rather than buying specific items for each and every occasion. When considering water storage solutions, consider collapsible water carrier options, so they will take up less space when not in use. When considering storage space for extra fuel – consider switching away from fuels such as propane and opting instead for more eco-friendly off-grid solutions. Create capsule wardrobes, so you can meet all your clothing needs without needing huge amounts of space to store clothing, shoes and accessories. Simplify cleaning equipment. All you really need to clean inside your RV are apple cider vinegar and bicarbonate of soda. Implement a more natural cleaning regimen and you will also eliminate all those plastic bottles of cleaning fluids etc..
Simplify your toiletries and weed out unnecessary beauty products. Do away with all those shampoos, conditioners, hair sprays, shower gels etc. and again, more towards a simpler and more natural regime that will involve far fewer bottles and items to clutter up your RV shower/ bathroom. Metal tea caddies and other similar containers are a great alternative to plastic containers and can be a greener option for those looking to maximise storage space in cabinets. Consider creating DIY slide out sections from tables and/or counter tops to maximise worktop space with minimal space loss. Magnetise items like chopping boards to the underside of top cabinets. Magnets can be bought online or at a range of stores. Create a drop down spice rack under top cabinets. You can easily make one yourself by affixing metal hinges and a hook catch to a wooden spice rack that you have made or purchased. Use wooden dowel rods to create vertical separation within kitchen cabinets, so, for example, plates can be stored on their sides to save space. Use magazine racks as can containers in cabinets for easy can storage and retrieval. Consider growing your own food in your RV, to reduce the amount of food you need to buy in and store. Install eye bolts and hooks below cabinets or on the back of cupboard doors to create hanging space for smaller items. String rope between eye bolts to create supports for kitchen roll, tea towels or other items. Buy suction hooks which can also be used to support a wide range of items. (These are great if you don’t want to make permanent changes to your RV.) Though hooks of any kind are always a useful way to make the most of space and think vertically. Install under shelf storage baskets in cabinets to increase shelf space. Install waste bins/ compost caddies on the back of cupboard doors. Install lazy Susan’s in cupboards or in your fridge to you can easily use and retrieve items from the back of the space. Hang fruit hammocks from the ceiling or inside cabinets to stow fresh produce. Hooks allow you to store a lot of additional items and make full use of the vertical space, both inside and outside of cabinets within your RV. Create a DIY hanging fabric bed head with pockets to stow books, glasses, watches and other small items. Or build your own wooden headboard with storage. Add wooden dowels or tension rods for additional hanging space in wardrobes. Place a free-standing drawer unit in wardrobes for additional drawer storage space. Hang a collapsible laundry bag on the back of a wardrobe door. Hang a fabric shoe organiser on the back of a wardrobe door (for shoes, accessories or other items). Use folding organisers for additional storage. Purchase Bamboo camping storage units to use as end tables/ additional storage. Use suction hooks as in the kitchen. Use wooden dowels or tension rods to create hanging space. Staple elastic strapping inside bathroom cabinets to keep small items/ medicines/ toiletries in place. Install a metal bathroom shelf with hooks below. Use storage caddies to compartmentalise the space and keep everything organised. Use eye bolts or brackets of the right size affixed to the ceilings of internal or external storage spaces to slot in brushes, mops or other long-handled tools. Invest in a good, compact tool box for your essential DIY tools. Use velco straps to secure hoses to the back of storage space doors. Consider creating a shadow board to store tools and other items vertically in larger storage spaces. These are just some of the many relatively low cost ways that you can find DIY storage solutions for your RV and make the most of the space at your disposal. Remember, less is more, and being organised it key. Make sure that there is a place for everything and everything is in its place, and your RV adventures are sure to go much more smoothly.